Please join me and other 2017 PASS Summit speakers for 24 Hours of PASS: Summit Preview on July 19th and 20th. 24HOP is a series of 60 minute on-line sessions presented back-to-back for 24 hours, from the same professionals who will deliver preconference and main conference sessions during the Summit the first week of November this year. These online sessions are free of charge and normally attended by thousands of individuals to gain insight and knowledge about the topics. 24 Hours of PASS features free educational webinars delivered over 24 hours. Topics covered in this edition include Performance Tuning, SQL Server 2017, Linux, DevOps, Azure, PowerShell, SSRS, Power BI and much more. Browse all sessions. These webinars provide a sneak peek at some of the best practices, expert tips and demos you’ll find at this year’s PASS Summit in Seattle. My session this year is titled: Can’t We Just Get Along? Making SSRS, Power BI and Excel Play Well Together and begins at 7:00 PM Pacific Time. Make sure to double-check the 24HOP schedule to confirm when you register for this and any other sessions. Choosing the right reporting tool can be a challenge but can different reporting tools be blended to create a unified solution? Learn the strengths and limits of each; for Self-service, IT-driven and Business-Driven BI, reporting and analytics. We’ll review an actual solution to see how these tools are being used together to meet the needs of users and technical professionals in different roles in a large organization. 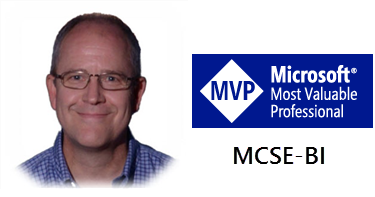 In this 60 minute session, I will preview some of the material covered in the full-day preconference: Modern Reporting with SQL Server 2016 and 2017 Reporting Services full day pre-conference session on October 31st in Seattle. This entry was posted in 24 Hours Of PASS, Data Visualization, Excel BI, Microsoft BI Platform, Power BI, SQL Server, SSAS Design, SSRS Administration, SSRS Design. Bookmark the permalink.